Pre term labor is labor that happens before you are 37 weeks pregnant. If you have regular cramping before your due date for more than an hour, it may be a sign you are going into pre-term labor. Pre-term labor can be easily mistaken for Braxton Hicks contractions. It may be the end of the day at work when it suddenly dawns on you that your warm-up contractions have been happening every ten minutes or so for the past few hours. What was Braxton Hicks contractions has become more frequent and regular without you noticing at first. There often other early signs of labor that are great if you are past your 37th week of pregnancy, but can be an indicator that you are going into pre term labor if you are having them too early. Cramping during pregnancy is often a sign that you are starting to have Braxton Hicks or “warm-up” contractions. If this happens at irregular intervals during your last month of pregnancy there is nothing to worry about. This is the normal way that your body prepares for labor. 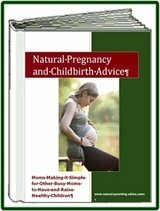 Read more about Frequent Braxton Hicks Contractions. If you experience cramping earlier in your pregnancy or if the cramping becomes regular (every ten minutes for an hour)and you are less than 37 weeks pregnant, then it may be a sign that you are experiencing pre-term labor. It is best that you have a full-term pregnancy of 40 to 41-1/7 weeks. Your baby will be less likely to have health issues if he or she has the chance to mature fully in your womb. Pre-term labor is often caused when baby isn’t getting what it needs in your womb. This happens often with working women who are under a lot of stress, not staying hydrated, not eating well and not getting enough sleep. Currently 1 in 8 babies are born prematurely in the United States. You need more rest while you are pregnant. Making a healthy baby is a lot of work for your body. Try to get at least 8-10 hours of sleep per night. Take a short nap in the afternoon if possible. Dehydration can also cause pre-term labor. You need plenty of water to keep up with the 50% increase in your blood supply. Dehydration can prevent nutrients from reaching your baby properly. Avoid fruit juice as it will raise your blood sugar excessively. Avoid caffeinated beverages. You need to eat a healthy pregnancy diet so your baby gets the nutrients it needs to develop properly. In the last trimester, when your baby is putting on weight rapidly in preparation for delivery, getting enough protein and cholesterol is very important. If your diet is deficient in these things, then your baby may decide to take his or her chances on the outside rather than stay full-term. Exercise is always a good way to reduce stress. In your last trimester it is best to go for a thirty minute walk or do some light swimming. High impact activities are out due to the weight of your baby and belly combined with the softening of your tissues and ligaments in preparation for childbirth. Be sure to watch your heart rate. Keep it low and be sure to drink a lot of water. A high heart rate or a long workout with no water could actually trigger labor. Delegate every chore that you can. Ask your mom to help with cooking. Ask your husband to help with chores. Hire someone to do the cooking, cleaning, laundry and gardening. One of the best ways to lower your stress level is by reducing your responsibilities. If you have a bad case of “busy brain”, try quieting the chatter by downloading or purchasing relaxation CD’s. Hypbirth is an excellent program to help you prepare for delivery and requires daily relaxation practice. We like it because it is available as an MP3 download or as a collection of CDs. Not only does it help with relaxation and combating “busy brain”, but it simultaneously prepares you to delivery your baby. If you less than 37 weeks pregnant and are having intense contractions that are lasting almost a minute in duration, you need to call your doctor right away. If you are more than 37 weeks pregnant and start having light but regular contractions you should immediately drink a couple big glasses of water and go lie down on your left side. Sometimes you can head off pre-term labor naturally if you catch it early enough. Since the top things that trigger pre-term labor are stress, dehydration and your baby not getting the nutrients it needs, resting, eating and drinking plenty of fluids are your best ways of combating it naturally. If your contractions continue at regular intervals for an hour after you eat, drink and lie down or if they start getting more intense, you should call your doctor or midwife right away.